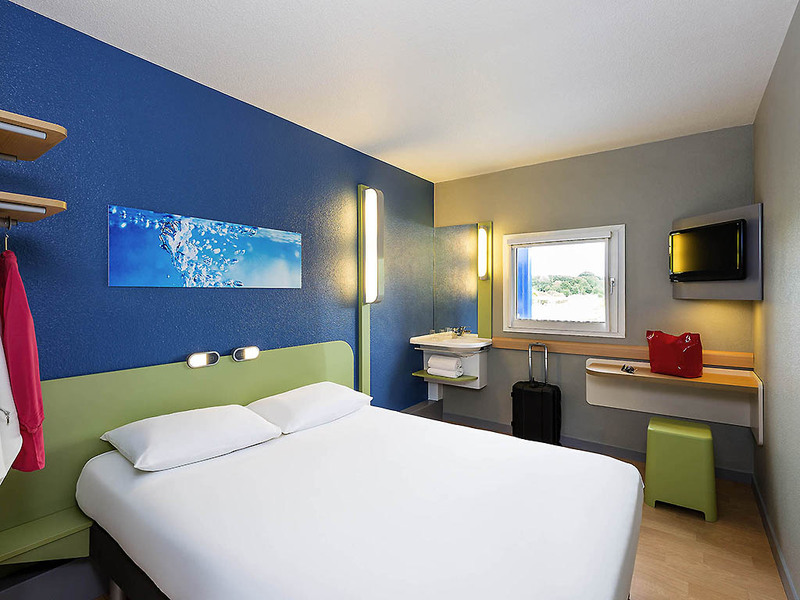 The entire ibis budget Angers hotel team welcomes you to Anjou, a region rich with local tradition, vineyards and historic monuments. See you soon! Our air-conditioned hotel, fully renovated in 2016, boasts the new generation ibis budget design. Located just 109 yards (100 m) from the exhibition center and major tourist sites, the hotel is perfect for your business and leisure travel! Enjoy the delic ious and unlimited buffet breakfast at a great price, as well as unlimited free WIFI throughout the hotel. All that's missing is you! Discover Angers, the city of flowers, and its castle, Terra Botanica theme park, vineyards and Loire à Vélo cycle route. One hour from Puy du Fou. Located at the highway exit, 10 minutes from the city center and the SNCF train station. Good price, clean, and friendly staff. Disappointing breakfast, no savoury option. Good location near motorway. Clean room. Nice and helpful team. All very good. Ibis budget was the best option for us,we arrived very late after a wedding, and they have the automatic room distributor, that is very confortable. The only problem is that breakfast is served until 10:30...this time we lost it even when we had already payed for it. It all worked extremely well. Extremely polite welcome at the front desk. Given extra towels when I enquired. Very clean and quiet. Comfortable room, clever design taking full advantage of the space available. Not beautiful, but relatively neutral, and it's a budget hotel so we weren't expecting beauty anyway. We arrived quite late in the evening, and the check-in procedure at the machine was straightforward. We didn't see any members of staff, other than passing the cleaners in the corridor as we left, so I cannot make any comment on staff friendliness etc. Hence my neutral responses to those questions. Bon accueuil, chambre correcte, entourage tranquille.